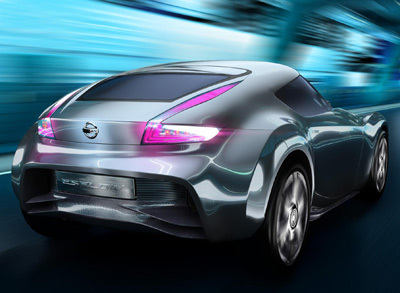 The Nissan ESFLOW is a 100 percent electric powered concept car which is designed to show that being green can be fun. 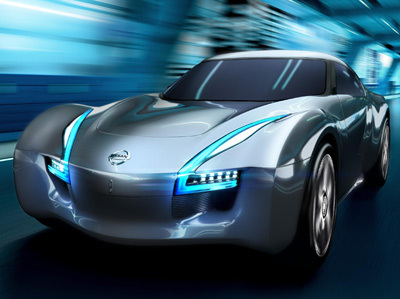 The Nissan ESFLOW is based on existing technology - including a drivetrain borrowed from the Nissan Leaf. However unlike the Leaf the ESFLOW is a two-seat, RWD sports car. 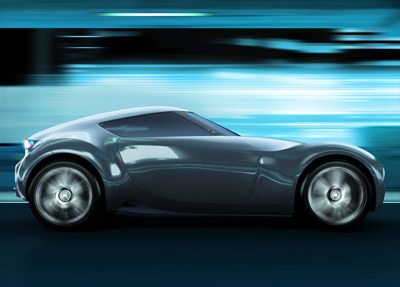 The head turning composite bodywork of the ESFLOW hides an aluminium chassis, incorporating an integrated roll cage. The ESFLOW features twin electric motors which are mounted above the axis of the rear wheels, in a mid-ship position. These motors independently control the left and right wheels, and so the torque delivery is controllable to improve stability and also increase the efficiency of power recovery during deceleration. The motors provide enough motivation to bring the ESFLOW up to 62 mph (100km/h) in under 5 seconds. Power for the motors comes from lithium-ion battery packs which are located between the front and rear wheels for balanced weight distribution.